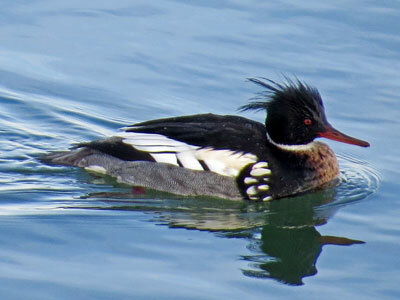 The red-breasted merganser occurs seasonally throughout the Chesapeake Bay watershed. This brightly-colored duck is often found together with hooded mergansers, buffleheads, goldeneyes, surf scoters, long-tailed ducks, cormorants, grebes, loons, and other fish-eating birds. Red-breasted mergansers are classified as sea ducks. 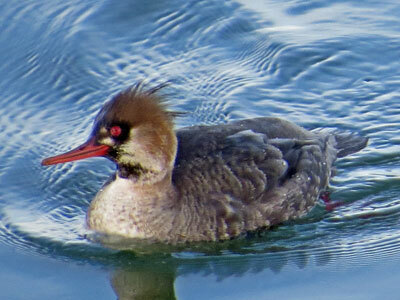 The red-breasted merganser female can be recognized by her brown head and uniquely-shaped head feathers.